Purchase this Combo and receive a Pure Hemp Soap valued at $9.00 FREE !!! 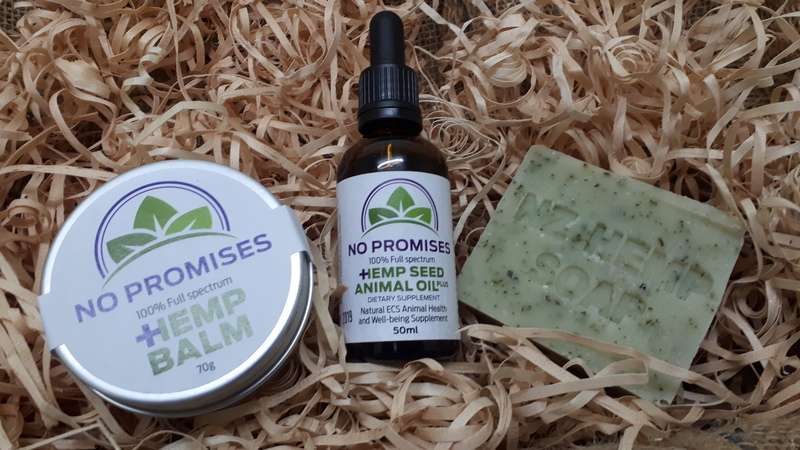 A great combo offer, this power packed Animal Hemp NO PPROMISES plus 50ml and NO PROMISES Hemp Root Balm 70ml are specially formulated with our blend of Phyto flour as found naturally in the seed flour, each batch is prepared in small runs to maintain consistency, NO PROMISES , just happy animals. As part of our company tradition and Aroha we encourage folks to educate yourselves on the endocannabinoid system crucial to good health and homeostasis.